Guide to kombucha: brew your own in just 5 minutes each week! And ain’t nobody got time for that! So I’ll show you how I make my kombucha in less than 5 minutes of active time each week, first a written tutorial and then a video I made earlier this year and never posted for you. Yea, sorry about that. The yeasts and bacteria consume the sugar in the tea causing fermentation to occur. This is similar to how a yogurt culture consumes the lactose (milk sugar) in yogurt. You can find it in most health food stores as well as bigger box stores now, but making it at home will make it the best for you. Not only can you control the type of sweetener used, but you can also control the flavor and the level of fermentation. Although somewhat new here in the U.S. and modern western world, it has been popular in Russia for some time and dates as far back as 250 bc in China. 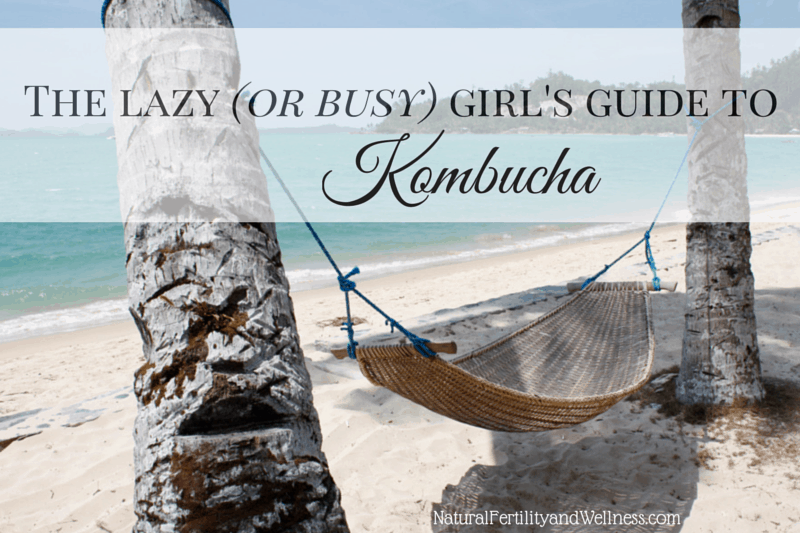 Throughout the centuries, Kombucha has been used for its medicinal purposes. When Kombucha is correctly fermented, it consists of acetic acid, carbonic acid, vitamins C, B1, B2, B3, B6, B12, B15, various beneficial enzymes and essential amino acids, folate, glucuronic acid and lactic acid, as well as usnic acid-a natural product of fermentation, suppressing development of micro-organisms not belonging to the Kombucha culture. 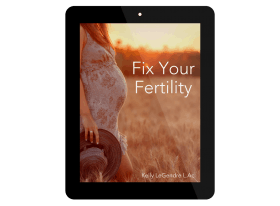 B vitamins, including folate, are pivotal in a healthy reproductive system, while glucuronic acid (which is also made by your liver) binds itself to the toxins in your body, to which they can then be expelled. 1. Boil one quart (four cups) of water and remove from heat. 2. Steep the tea in the hot water for about 5-10 minutes. If you forget about the tea, no worries. I forget All. The. Time. You won’t ruin your kombucha, it will just have a slightly stronger flavor. I try to do other things in the kitchen while I wait (prep food for later meals, empty the dishwasher, clean the counters, etc). This way I remember more often than not. 3. Take out the tea bags and stir in the sugar. 4. Pour hot/warm-ish sweetened tea into a one-gallon jar. 5. Add 2.5 quarts of cold water to the jar. Hot water + cold water = room temperature water which = no waiting for it to cool down. 6. Add the 1/2 cup of kombucha and stir. 7. Place the SCOBY on top. 8. Put the lid back on the jar and screw it on just so it won’t fall off, but isn’t closed tightly. 9. If you’ve never made it before, taste it every day so you can taste what’s happening. 10. After 7-10 days (or a few days longer if you’re like me and completely forget….) take the SCOBY and 1/2 cup of kombucha out for another batch. Either make another batch right away or stick it in the fridge. If you do refrigerate it, be aware that it begins to slow down and hibernate, so your next batch may take a day or two longer. 11. Pour the kombucha into quart size jars with fruit or fruit juice if you’d like, put a two-part canning lid on it, screw all the way closed, and let sit for an additional 24-48 hours if you want a bit more carbonation, otherwise, you can drink it right away. 12. Start back at step one to make another batch! Is it safe during pregnancy and for small children? While many people disagree on this fact, there are women and small children who drink kombucha. If you are one of the ones that decide this is a safe practice for your family, you can buy a kombucha test kit to make sure it is fermenting properly. Can I use green tea/herbal tea/does it have to be black tea? From what I understand, and have experienced myself, you need at least 3 black tea bags or the pH may not be acidic enough and will cause it to mold. So use a few black tea bags and then add a couple of green tea (or your favorite naturally flavored tea/herbal tea) bags to the mix for a lighter flavor. What’s the best way to cover it while it brews? Stop messing around with towels or coffee filters and rubber bands if it’s cumbersome. I never had good luck with rubber bands keeping out fruit flies and I’ve lost many batches due to contamination from flies so I no longer use them. If it works for you, great. If not, just use a lid. Can I use well/tap water? If you have well water – Yes. If you have a high mineral content it may negatively affect your kombucha or give it an “off” taste though. I’ve been brewing it with well water for over 6 years with no issue, but we also have a water softener, so it will depend on your specific well. If you have “city” municipal water – Yes, but… you should boil all of the water and let cool (so not quite as quick). This way the chlorine will off gas. You can also fill a one-gallon jar with water and let it off-gas overnight. What type of sugar do I need to use? I’ve used everything from regular supermarket white sugar to organic cane sugar to whole sugar (sucanat/rapadura). White or evaporated cane sugar will give it a lighter flavor while whole cane sugar will have a richer/stronger flavor. Any sugar works, but whole cane sugar does provide more minerals for the SCOBY. What do I do with all the SCOBYs? Stop pulling them apart! I have friends that pull them apart and start making jars upon jars of kombucha at one time. Having multiple SCOBYs in the jar may cause it to ferment slightly faster, but it won’t hurt it at all. I only take mine apart every couple/few months or when a friend needs one (whichever happens to come first). Each batch will produce another SCOBY, so one becomes two, and two become four, and four becomes eight… I know ladies who “breed” SCOBYs like Henry Huggins bred guppies (remember that book? Check Amazon for a reminder if you don’t), and you will quickly run out of counter space! If you want to brew more kombucha, get a bigger container, there’s no need to have multiple jars taking up space. If you do end up with a super thick SCOBY and no one to give it to, you can dehydrate one for later use or do like I do and place them in a glass jar with sweet tea in the fridge. I’ve had no problems leaving them in the fridge for 6+ months, tossing in a couple of tablespoons of sugar now and again. Do I have to worry about metal utensils? I do not, however, use a metal or plastic container to brew it in – always use glass for that. Can you brew it too long? Yup. If the culture runs out of sugar the whole batch will begin to turn. How long is too long? That’s going to depend on a lot of things: how warm it is, the type of sugar used, and how strong the starter kombucha was. I’ve left mine out on the counter for over a month with no problems, though the longer it sits, the more like vinegar it will taste and I normally just dump it out (except for 1/2 cup to start a new batch). If you are going for consistency, make sure you remember how long you’re brewing it. It’s fizzy after the first brewing, should I still allow it to “second ferment”? No. If you routinely let it ferment (with or without fruit or juice) a second time after taking the SCOBY out, and it’s already fizzy, don’t put it in bottles or jars with tight lids. Unless you’re trying to get the jar to explode. Once it’s fizzy, flavor as you wish and put it in the fridge. How do you remember when it’s done? Seriously, some batches ferment for a week, other batches ferment for two. I basically just brew a new batch when we need more to drink. (which is anything but consistent and also leads to slightly inconsistent tasting kombucha, but we’re ok with that) That way my fridge doesn’t get overwhelmed with massive amounts of kombucha AND I don’t have to try to remember when I made it. Our family goes through one batch (3.5 quarts) in 1-2 weeks, so this works well for me. If you go through more, I’d suggest getting a bigger jar. If you go through less, get a smaller jar. Basically, just use a container to ferment that will hold what you would regularly drink in a 7-14 day time span and you’ll never have to look at a calendar or write yourself notes. You’ll just make a new batch when you’re done! 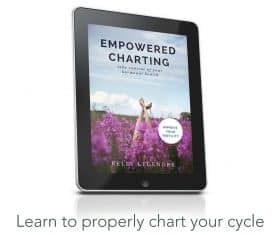 Have some kombucha tips or brewing questions? Leave them in the comments! No way. Great minds think alike! Just went to a fermentation class that a friend of mine was leading, and she gave me some scoby and got me started with my first batch of kombucha!! So excited! Awesome! It’s so easy to brew and good for you too! Is drinking this amount of sugar good for you? The amount of sugar in the kombucha is greatly reduced after fermenting as the culture feeds on it. I’ve heard that after a “normal” 7-10 day ferment that only 15-20% of the sugar remains. A friend gave me several scobies and I made a couple of batches of tea. Then I got onto something else. I would like to make some more, but the scoby hotel has now been sitting (not refrigerated) for a few months in my kitchen (mocking me, no doubt). Are the scobies ruined or will I be able to tell when I open the jar? I’m not sure what to expect. What exactly is this? Why should I make it? How does it affect me? Are there health benefits? I hate yogurt, it tastes like vomit to me…does this have that same flavour? I got this on FB and shared, but never heard of it! There are a few places online that sell dehydrated SCOBYs, http://www.culturesforhealth.com is the first that comes to mind. Otherwise, you can check local foodie groups for them. Another person commented and mentioned that you can “grow your own” but using a bottle of storebought kombucha. I’ve known a few folks that started theirs like that, though I never have. My family loves kombucha and I make three gallon-sized jars every week. 🙂 In order to get a similar flavor each time I date one of the jars with a permanent marker. That way I can easily remember when I started it. The marker comes off with a good scrub. (My husband doesn’t like it when it gets too vinegary) If you don’t have a friend with a scoby to share you can order one online or buy a bottle of live kombucha at the health food store (such as synergy brand) and pour it into a wide mouth jar. Cover and let set on the counter for a few weeks until it forms it’s own scoby. Once it is about a quarter inch thick you can use it to make your own ferment. Great reminder on starting your own SCOBY! Could you use xylitol or stevia instead of sugar? Or does that change things? Kombucha needs real sugar as that is what the bacteria and yeasts feed off of. Alternative sweeteners don’t offer the same food source and you’d essentially be starving your kombucha. I’ve never put mine in the dark, just out of the sun on the counter! You can use a mason jar with a two part canning lid or a grolsch style bottle to help with carbonation. 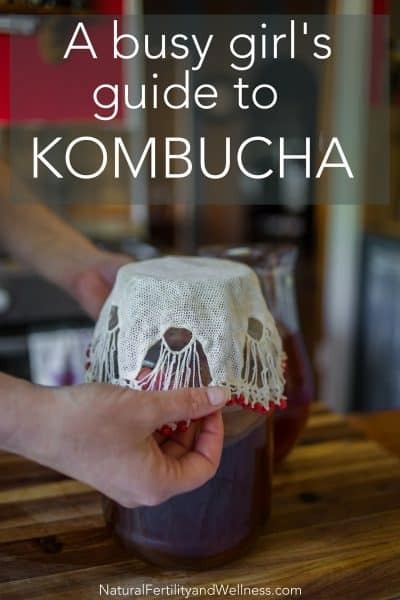 After your kombucha is finished fermenting (you may want it slightly sweeter since you’ll be doing a double ferment), take out the SCOBY and set aside the 1/2 cup of kombucha for the next batch. Pour the kombucha into a mason or grolsch bottle and let it sit out for 24 hours, testing for carbonation then. When it gets fizzy enough, add your fruit or juice to the kombucha in the mason jar or bottle and let it set out for another 24 hours. After a few batches, you’ll get the feel of what to do for how you want it to taste. You can always brew the tea for less time (5 minutes instead of 10), or use white sugar to lighten the overall flavor as well. Sometimes I’ll even add a tsp of sugar each day while it’s in the double ferment to make sure it doesn’t start to taste vinegary or too strong.